When Adyar bookshop gave me this book to review on Barry Eaton's Radio Out There I was instantly challenged. None of the three figures being studied in the book had ever held any attraction for me, and the size of the book was daunting. Nonetheless, in the spirit of professional enquiry I took it home, and almost from the first page I was completely absorbed. Mistlberger's is a unique voice, and he writes elegantly and sparely about three of the most intriguing and challenging spiritual figures of the twentieth century. The men discussed are the Indian mystic Osho (fomerly known as the Bhagwan Shri Rajneesh), the Greek-Armenian spiritual teacher Gurdjieff and the magician and self-promoter Aleister Crowley. At various points in his life the author has followed the tradition of each, and in this extraordinary work he attempts to synthesise their wildly disparate ideas. At the simplest reading this is just a wildly entertaining book. Mistlberger is an accomplished writer, and in the first section of the book he writes simply brilliant potted biographies of each of the teachers and their influence on spiritual culture. If you only read the book as an introduction to these three incredible, magnetic and problematic characters the book would be worth the cost of purchase. It is refreshing that the author does not attempt to be "objective" in his assessment of the men. He is completely and confessedly partisan, crediting each for their profound influence on his own spiritual development. What he sees as unifying these three magi is the theme of rebellion against the established order which prevails in their work and teachings. Each of the men was steadfastly anti-establishment and enjoyed quite vile reputations in their day. Indeed, even now the name of one - let alone all three - of them is enough to ruffle the feathers of the more religiously conservative. Mistlberger also identifies their willingness to work with the dark as well as the light sides of human character. 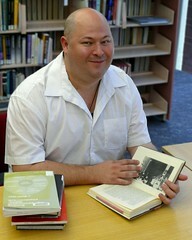 In fact he claims that each of them attempted to unify this binary in spiritual teaching, to varied degrees of success. The other things that unifiy them were their interest in communalism - each attempted to lead spiritual communities, all of them surrounded by controversy - and their representation of the archetype of the wizard, hence the book's wonderfully evocative title. He also claims that together the men represent an almost total embrace of the world's spiritual traditions - Osho from the East, Gurdjieff from the centre and Crowley from the West . That each liberally drew on the traditions of the other direction only solidifies their place as religious and metaphysical syncretists. 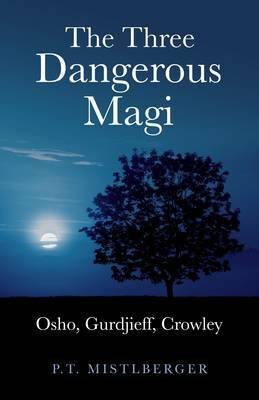 The Three Dangerous Magi then goes on to present a quite unique summary of the essence of the spiritual teachings of each, followed by chapters detailing some practical ways to use these teachings. Mistlberger also pulls apart the historical influences on each of the teachers, making this quite a scholarly work, though the author wears his scholarship lightly. Altogether a unique and ultimately successful effort. Definitely worth the time if you are interested in the history of religion in the twentieth century, or if you have ever come across the work of any of the three amazing characters discussed.